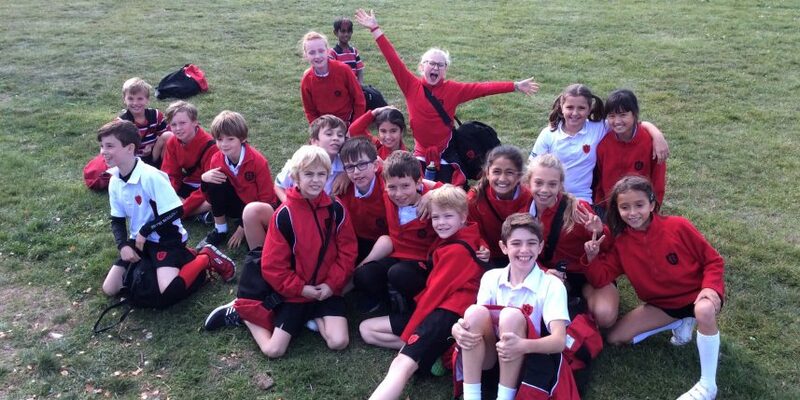 On a crisp, autumnal Monday, year 5 trekked to Willesden Sports Centre to take part in a mini triathlon. This fun, non-competitive and inclusive event, organised by the Brownlee Foundation and delivered by the Triathlon Trust, gave the children the chance to give triathlon a ‘tri’, and learn the necessary transitional steps in between each post. The children started with a brisk swim, followed by a cycle and finished up with a run towards a smiling Jonny Brownlee at the finish line! After a well deserved lunch and a few selfies with Alistair and Jonny, it was time to head back to school.